Payasam is an Indian sweet pudding, an eagerly anticipated penultimate or last course in a grand meal, or a lovely little indulgence on its own. There are many traditional recipes, so we thought it was time for a contemporary payasam, one that is healthier, yet equally if not more delicious. For a refreshing new recipe, we turn to the goodness of dates. 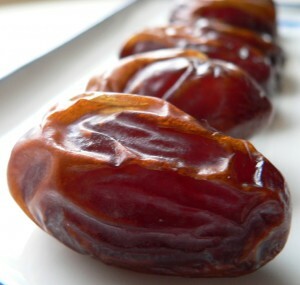 Dates are sweet, yet have medicinal value, are good for your intestines, high on fiber and a source of instant energy. In this episode, Vaidya Priyanka takes us to new dessert frontiers as she concocts for us, a delicious date payasam. The recipe blends in the nutritional goodness of dates, with brown rice, soy and almond milk, strands of Kashmiri saffron, cardamom and figs. And a touch of agave nectar for those who would like it to be sweeter, but are mindful of keeping to a low glycemic index. All happiness and health. And perfect for any date, we might add. I love Vaidyaji’s AUM Cuisine. It is like eating from the hands of your mother with all the knowledge from an ancient lineage.